I typically hear Amateur HAM Radio operators complaining about many things, however rarely taking action or involved in change. So as a result of a conversation I felt needed investigation I accepted it as a new intuitive. The topic of why is Amateur HAM Radio not included in the Boy Scouts and Girl Guides curriculum? I am optimistic with the start and this public intuitive here that many will copy this public project that is outlined. 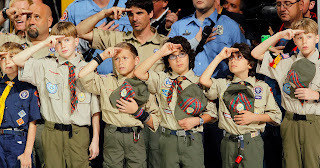 I have since followed up with the Executive Director of the Boy Scouts Canada. Making Scouts Canada bigger and more vibrant than ever before. At Scouts Canada, our Mission is clear: to help develop well-rounded youth, better prepared for success in the world. We do this by enabling thousands of young Canadians to engage in safe, youth-led, adventurous programs in hundreds of communities across this great country. As Volunteers and staff supporting these programs, our aim is to ensure Scouting remains vibrant and continues to expand its reach: providing more youth with an opportunity to learn and to experience things at Scouts that they cannot experience elsewhere. 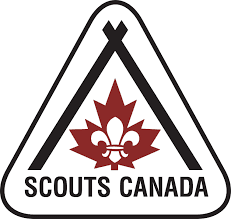 In order for Scouting in Canada to be as impactful as possible, we have identified five key areas of focus and associated measures of success that will guide our work over the next 3 years.